Grand Bahama Port Authority Vice Chairman Sarah St. George will serve as guest speaker for the GB Chamber of Commerce monthly business meeting on Friday, July 15 at the Grand Lucayan Convention Centre. 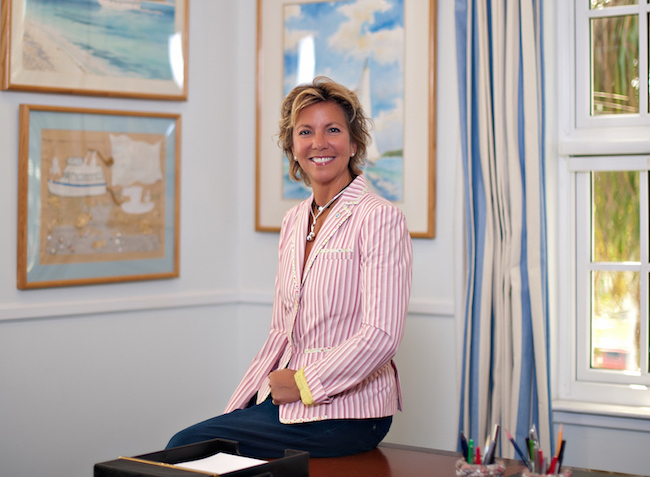 Freeport, Bahamas - The Grand Bahama Chamber of Commerce (GBCC) has announced that Grand Bahama Port Authority (GBPA) Vice Chairman Sarah St. George will serve as guest speaker for its monthly business meeting on Friday, July 15 at the Grand Lucayan Convention Centre. The organisation has invited the entire business community to attend the event where Ms St. George will discuss Freeport's economic rebound in relation to the recent extension of important tax exemptions in Freeport by the government of The Bahamas. GBCC President Kevin D. Seymour said the event would also present an opportunity for business leaders to raise questions and receive updates about ongoing and upcoming projects on the island. "We're eager to hear, from the GBPA's perspective, what plans are in the making for the development and promotion of the Port area," Mr Seymour said. "We're interested in learning which sectors will continue to be targeted in terms of the GBPA's promotion and what areas we, the business community, can expect to see projects getting started in between now and the end of the year." The GBCC president also noted that Ms St. George is expected to provide a status report on the continuing Hawksbill Creek Agreement negotiations with the government. As Freeport's business community awaits the conclusion of these talks, Mr Seymour expressed "cautious optimism" for the outcome of the negotiations. "Having had the opportunity to sit on the Hawksbill Creek Agreement Review Committee, I think the committee has made some recommendations that, if adopted in full by the government, should bring about a turnaround in the economy and should certainly revitalise the light and heavy industrial sectors," Mr Seymour said. Ms St George revealed plans to address the business community on the theme, "Freeport not Fee-port", highlighting the GBPA's objective of preserving Freeport as a free trade zone. "We're trying to grow the economy, grow the revenue, so The Bahamas benefits from the economic activity, rather than possibly shrinking it by imposing property taxes and other kinds of taxes that really take away it's free trade zone status," Ms St. George said. "We want to play into the free trade zone concept to maximise what Freeport is capable of." The GBCC July business meeting begins at 12:30 p.m. in Salon III at the Grand Lucayan Convention Centre.